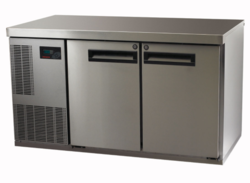 Overall, Reach-in Chillers and Freezers keep food fresh and preserve it for longer, just what you would expect from the experts in cooling. These commercial undercounters are extremely rugged, energy efficient & come with removable gaskets for easy cleaning. They help in increasing the efficiency and effectiveness of kitchen professionals. reliable european compressor and more.. Looking for Chiller & Freezer ?